Had a lovely email this morning from regular reader and commenter Caz, who’s a great appreciator of the local deer population. 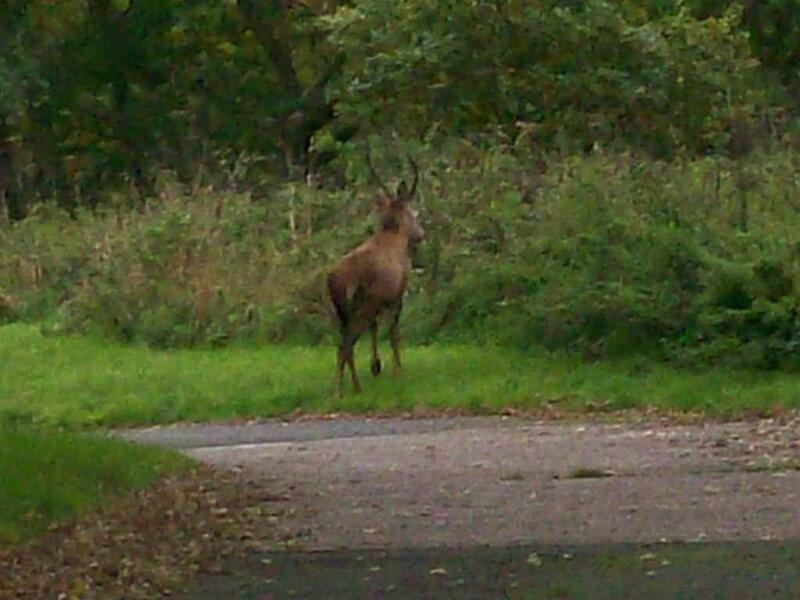 She’s supplied some lovely photos of a young stag she spotted on the driveway to the waterworks in Green Lane, Walsall Wood, opposite Jockey Meadows. 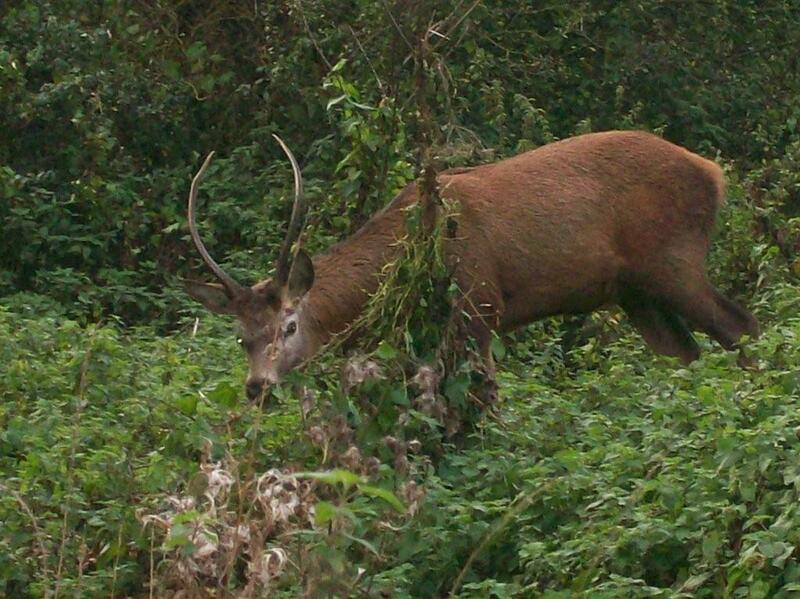 I’ve just sent you those photos I took of the stag I memtioned in your recent post, Oh Deer… I haven’t got an expensive camera and I’m not that good at photography, as you can see… some are quite blurred, but hope you like them. I can assure you, Caz, that these images are wonderful and are just the sort of thing readers of the blog love. 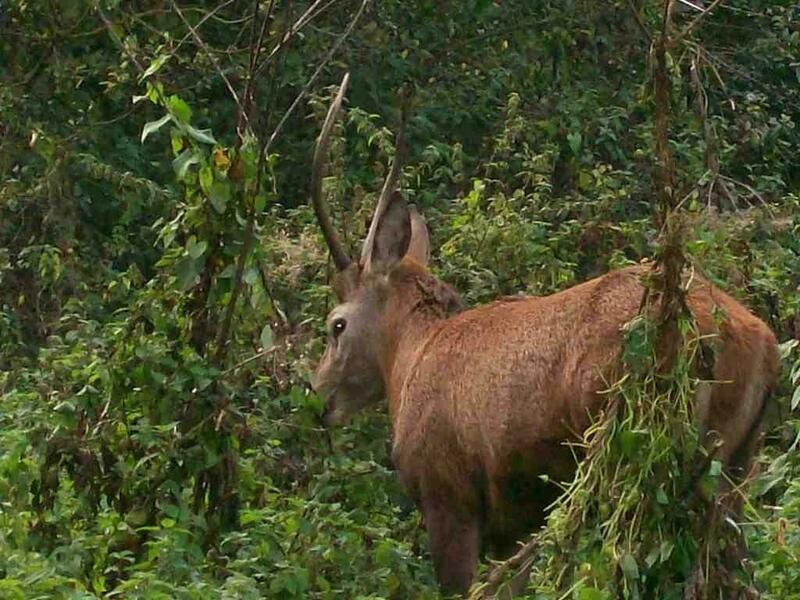 I still have to keep pinching myself as I can’t quite believe these magnificent beasts are living – and thriving – locally in the wild. This would have been unthinkable just a few years ago. As ever, thanks for the contributions, which are always welcome. 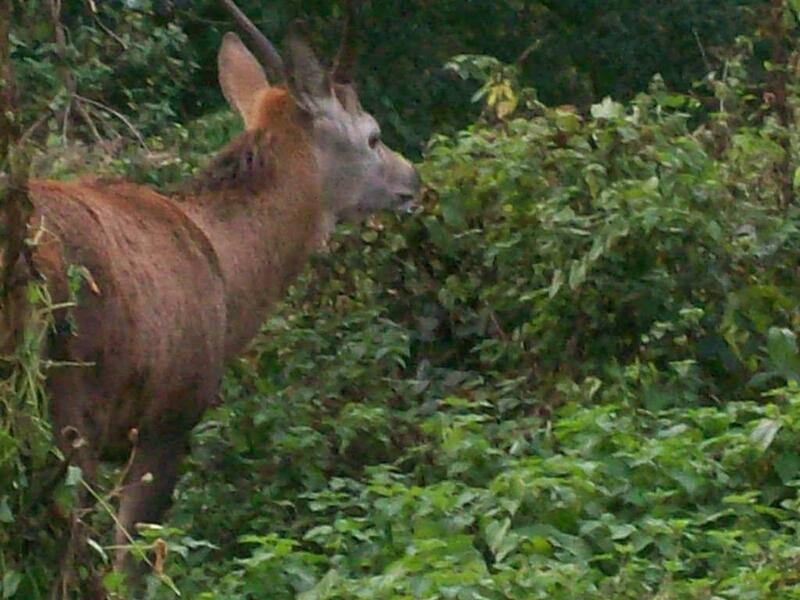 Red deer stag recently spotted near the waterworks in Green Lane, Walsall Wood, by reader Caz. This entry was posted in Brownhills stuff, Clayhanger stuff, Events, Features, Followups, Fun stuff to see and do, Interesting photos, Local media, Reader enquiries, Shared media, Social Media, Walsall community, Walsall Wood stuff, Wildlife and tagged Brownhills, Caz, Clayhanger, Grange Farm, Green Lane, New Photos, Red deer, Stag, Walsall Wood, Waterworks, Wildlife. Bookmark the permalink. Wow. Great pictures! Good reason for caution on Green Lane, I reckon. please, for Caz, many thanks, These are super photos!